Inspired by the original Mario Party board game play, the beloved series is coming to Nintendo Switch with new mini-games and play styles that make use of the Joy-Con controllers. Super Mario Party includes features like character-exclusive Dice Blocks that add depth to players’ strategy. Up to four players take turns rolling the dice, and individually race across the board searching for Stars. In Toad’s Rec Room, new gameplay links two games and two Nintendo Switch systems for side-by-side fun. The game launched on Oct. 5, 2018. 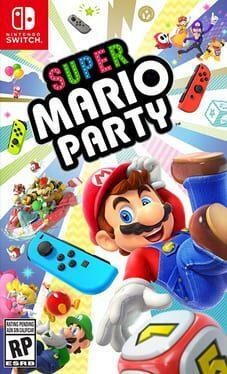 We currently don't have any prices for Super Mario Party. Check back later.